Professional Movers.com is Michigan’s leading home delivery provider serving interior designers, retailers and manufacturers of furniture, consumer electronics, appliances, exercise equipment, office supplies. Our success is due to our extensive experience and expertise in managing numerous regional and state-wide home delivery programs. Through our over 30 years of providing home delivery services we have learned tried and true methods for successfully implementing and executing simple to complex home delivery programs. We are able to match your specific delivery needs with one of our many custom home delivery services. We’ll take care of it all, we have the ability to receive/inspect your products, store your products, and professionally deliver your products to your client’s homes. We provide extraordinary customer service and will work with your customers to accommodate their requested delivery dates and special requests. We use state-of-the-art technology to provide you with the most efficient and cost-effective home delivery solutions in the industry. Our delivery teams utilize routing optimization software to coordinate delivery routes. This translates to better route planning, more accurate delivery-time windows and real-time visibility for every shipment. It also means that you have maximum control over the distribution process, from requesting delivery appointments to tracking shipments and managing your inventory. Whether it’s your ability to track individual shipments or receive live delivery reports, you will find Professional Movers.com technology is second to none. 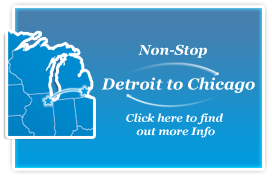 Access to our climate controlled warehouse that is centrally located in the Detroit Metropolitan Area. You can utilize warehouse for distribution or receiving dock. Detailed and consistent communication with you and your customer to ensure 100% satisfaction throughout the delivery process. We can provide 4 hour windows for delivery times along with 1 hour call ahead to allow your customers more freedom. We offer the ability to receive, open, and inspect the condition of your products prior to scheduling delivery date and time. If item is damaged, we can inventory condition and take photos of the damaged items. Reports and photos can be sent the same day for quicker turnaround time with the manufacturer. Experienced two-man delivery teams who are sensitive to the needs of your consumers, ensuring that each and every home delivery is a positive, stress-free experience. Delivery teams are capable of providing installation services. When your choose Professional Movers.com your reputation is in good hands. Our uniformed, experienced delivery crews understand the importance of a professional delivery. That’s why each Home Delivery includes the use of premium pads, neoprene floor runners, and door jam protectors. As a result, you can be confident that your products as well as your client’s homes are well protected. This enhances your customer’s home delivery experience, upholds your company’s reputation and provides the consumer of your products with an outstanding encounter—leaving a great lasting impression. Our state-of-the art climate-controlled warehouse is equipped with custom-built racks to ensure proper storage of high-value items, and crates for all long-term storage merchandise. When we receive your shipment at our warehouse, we thoroughly inspect all pieces before the shipper leaves our premises. The condition of all merchandise is noted on the freight bill, thus saving time and money for our customers should an incidence of freight damage have occurred. We also provide an additional freight-claim processing service if requested. The next step taken is to inform you that your merchandise is received. We do this by generating a receiving record, which we fax/e-mail to you within 24 hours of receiving your merchandise. Description of the product we received and the name and address of the manufacturer. Name of the trucking company who delivered the shipment, and their reference numbers. Condition of the merchandise, a detailed description of what it is, and our own tagging information. What If We Receive Furniture that was Damaged in Transit? We will take a picture of the damaged furniture, contact you immediately, and e-mail photos of the damaged item to you within a few hours. Once photos are taken, the damaged item will be repackaged for shipment back to the manufacture or as an optional service we can schedule an appointment to have a furniture technician fix the damaged item. What If We Have a Customer Who Wants to Pick His Items Up from the Warehouse? If your customer prefers to pick his or her piece up from our warehouse instead of having it delivered, we shall advise the customer of the size of vehicle needed, have the piece prepared for transport, and help with the loading into the customer’s vehicle. Professional Movers.com complete inventory management service is specifically customized to meet your needs. Our uniqueness is our flexibility- This allows you to provide the best service possible to your customers. From the moment we receive your first piece we will begin building a complete inventory of your merchandise using our proprietary receiving records. You will receive copies of the inventory records. All items, when received, will be labeled with your customer’s name. If your customers order consists of multiple pieces from multiple vendors, we will hold them until we have a complete order. Consolidated deliveries save you and your customers money. At any given stage you will know what you have in our warehouse. Our staff is always here at your convenience to answer any questions you may have about your merchandise. Let Professional Movers.com provide your company with pricing for Home Delivery Services. Contact us today at 248-926-9999. Our team of experienced transportation professionals would be happy to help you analyze your delivery needs and prepare a quote based upon your specifications.